A hidden room. That is one of the “stories” going around when the Weaver Mansion was built. Millard Weaver spared no expense in the building of the mansion so it is natural that folks would come up with some monstrous tails about the monster house on the mountain. I believe that the “hidden” room is actually the bar area which could be hidden when necessary. You see back in 1965, and particularly in the South, alcohol was the devil! But not to all. Being mindful of the likes and dislikes of potential guests Mr. Weaver did put a bar in the house. 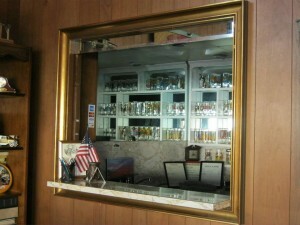 The bar however could be concealed by a large mirror. 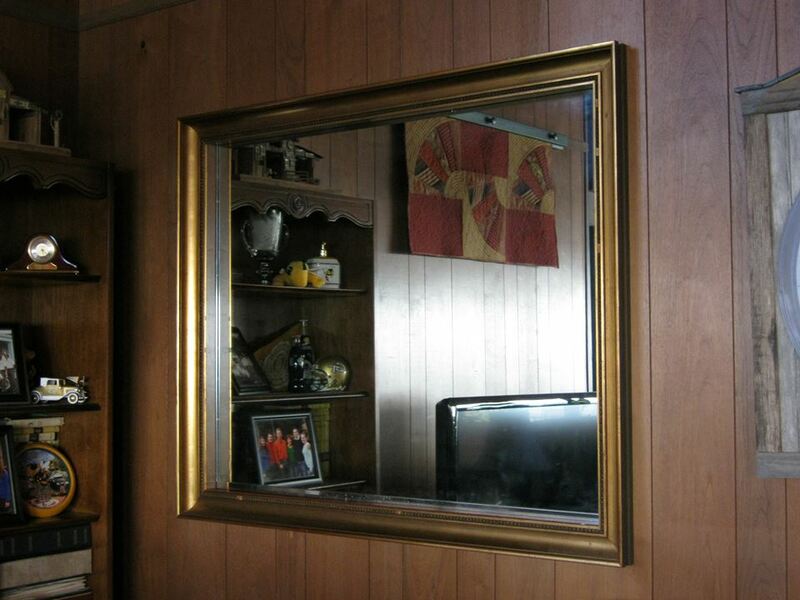 The Mirror could be rolled up into the ceiling of the bar when “drinkers” were present but hidden when those members of the local church came calling! 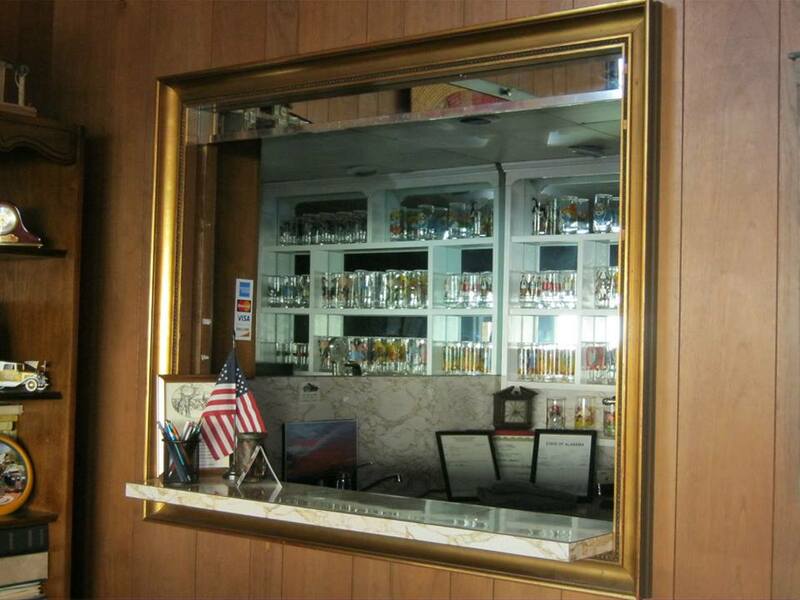 The outside of the bar window was built to look like a frame for the mirror. Up in the ceiling two large concrete stones act as ballasts to pull the mirror up and down.